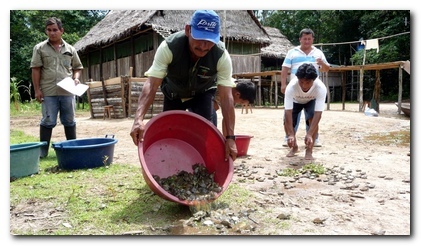 Apart from doing tours, Estypel dedicates itself to protecting and preserving Pacaya-Samiria’s ecosystem. Unfortunately many people think only of what they can get out of nature and blind to its beauty see only its market value. Both flora and fauna suffer greatly from people’s wrongdoings. All year long part of our group is in the reserve to protect it from future degradation. One of our projects for example, concerns the turtles. 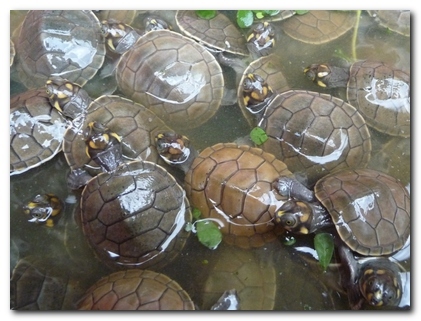 Because of people wanting to eat or sell their eggs the turtle population was decreasing rapidly. For the last couple of years Estypel has been collecting the eggs to bury them at artificial beaches where they can be easily protected. 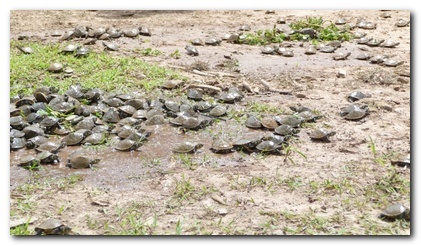 We are happy to report that now the turtle’s numbers are growing again!